Want to turn your DVDs and Blu-rays into media files Rip Your DVDs & Blu-Rays With Absolute Ease With MakeMKV [Cross-Platform] Rip Your DVDs & Blu-Rays With Absolute Ease With MakeMKV [Cross-Platform] If you ripped all your DVDs and Blu-Rays, you could create an amazing media center. Of course the main obstacle to ripping is the disk's copy protection. Enter our hero: MakeMKV. Read More you can watch on your computer? HandBrake can do just that — plus plenty more. HandBrake boasts a wide range of features designed to help you get the most out of your digital media. Here are some of the most ingenious uses of HandBrake to ensure that your viewing experience is as good as it can be. Here’s a simple one for starters; HandBrake makes it trivially easy to rip a movie file Easily & Quickly Rip DVDs With These Windows Apps Easily & Quickly Rip DVDs With These Windows Apps People have been ripping DVDs for years, so most people assume it's an entirely solved problem. That’s not the case. Searching Google for "rip dvd" will present a variety of options and articles. Some are... Read More . Insert the disc into your computer, fire up HandBrake, click on Source, select the disc you want to rip, and then click Start — but you may well want to tweak the settings a little bit first. The important thing to consider here is what sort of device you’re going to be viewing the video on. If you want to view it on a HD-ready screen and hard drive space is ample, then you’ll likely want as high quality a file as possible — on the other hand, if you’re converting it for use on a mobile device, you might want to sacrifice quality for a smaller file size. You can fine-tune settings like framerate, video codec and quality to your precise specifications, or alternatively use one of the many presets to ensure that the file will be ideal for your preferred device. There are plenty of different video file types out there, but it seems that Apple favours the MP4. 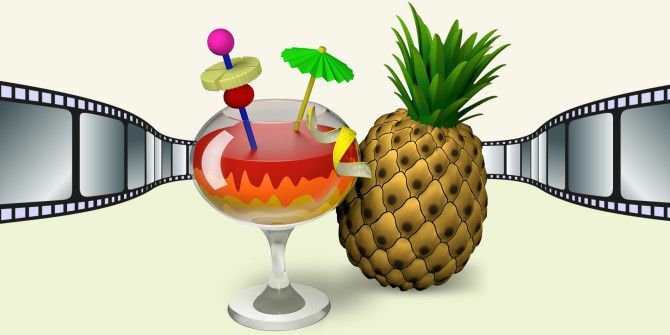 If you have a video you want to import to iTunes and transfer to your iOS device, it needs to be an MP4 — thankfully, you can use HandBrake to turn any old filetype into an Apple-ready video 2 Ways to Convert AVI & MKV Files to Add Videos to iTunes 2 Ways to Convert AVI & MKV Files to Add Videos to iTunes iTunes only supports MP4 and QuickTime format video files. We demonstrate how to use trusted free, open source, and cross-platform software to convert video files into formats recognized by iTunes. Read More . To do this, you can either use the many presets for Apple products that HandBrake offers up, or perform the switch manually. Simply look to HandBrake’s Output Settings section, and choose MP4 from the Container drop-down menu. That same menu will also allow you to convert video files to MKV, a popular file format for online streaming video that can come in handy elsewhere. When you’ve selected MP4 as your desired container, you simply need to select your desired source file and click Start to begin the process as normal. The finished MP4 file will be ready to be imported to your iTunes Library, and can then be transferred to another device of your choosing. Sometimes you might want to covert several video files all at once to save time — a full season of your favourite television show, perhaps. You can do that in HandBrake, but you’ll need to do some setup beforehand. First, click through Tools > Options > Output Files, then click Browse on the Default Path field. 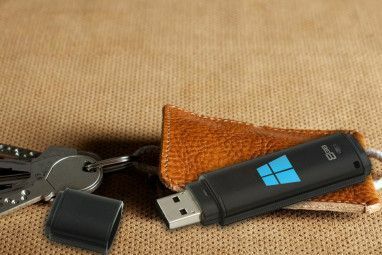 Create a new folder for your converted video files to be stored in. Now, close the Options window and select your Source, choosing a folder with multiple files rather than just a lone video. Once HandBrake has scanned the contents of the folder, you’ll be able to click Start and have it work its way through the queue. Depending on the amount of video files you’re converting and the specifications of your computer, this process could take some time — this task is best done overnight, or another time that you’re not planning to be using your PC. Whether you’re hard of hearing or a fan of foreign film, there are plenty of reasons why you might want to enjoy a movie with subtitles. Whereas at one time, getting your hands on a subbed film was a laborious and potentially costly process, now you can add the subtitles yourself How To Use Handbrake To Attach Subtitles To A Movie File How To Use Handbrake To Attach Subtitles To A Movie File Read More . First, you’ll need to get your hands on the subtitles file SubtitleHub: A Useful Search Engine to Look for Movie Subtitles SubtitleHub: A Useful Search Engine to Look for Movie Subtitles Read More for the respective video. These typically come in .srt format, and can typically be located via a Google search of the title of the film or television show and the word subtitles. Once it’s downloaded, open up HandBrake and choose your Source video. Then, head to the Subtitles tab under Output Settings and click on Import SRT. Once that’s done, simply open the video file in your preferred media player and activate subtitles as you would do normally. You’ll even be able to switch between different subtitle tracks if you added more than one during the process. If you’re serious about your video quality, you can use HandBrake to denoise your file and thus increase its overall quality. In some cases, noise can be an intentional effect on the part of the filmmaker — but in others, it’s an unwanted imperfection, and those are the cases where Handbrake can step in to sort things out. To access HandBrake’s denoising options, head to the Filters tab. You’ll be able to select either NLMeans — short for ‘non-local means’ — or hqdn3d as your denoiser. Both have their own strengths and weaknesses, depending on the sort of noise you’re trying to address, so it’s best to try out both to get an idea of how they work. The same goes for the preset and tuning options that you have access to, once you’ve selected one or the other. Denoising is a complex process, and it may take some practice before you’re able to use HandBrake’s tools to their greatest effect. For more information, refer to Matt Gadient’s in-depth guide. Do you have a great HandBrake tip of your own? Let us know about it in the comments section below. Explore more about: Blu-ray, CD-DVD Tool, Handbrake. Hello, how can I convert a Video_TS-folder into a .mp4-file while keeping the subtitles?? I tried this several times buit unfortunately, no subtitles included... (which are present in the original Video_TS-folder). Freemake Video Converter has a way to batch encode files and set a total output size. For example, if I want to compress several movies onto one blu-ray disc, I import all the video files, fix up the settings I want, then set it to have a total output of 23GB. The finished files usually equal up to just less than that. Does Handbrake have something like this? I think Handbrake has better encoding, but I find the output sizes too unpredictable to be able to use it for fitting multiple video files snuggly on a disc. One thing to consider is if you want to convert the video, then you use handbrake, but if you want to keep the original video in its original format and quality then you would MUX the video with something like makemkv. Need a YouTube video explaining this? DVD rips. The Windows version of Handbrake does not directly support DVD decryption. 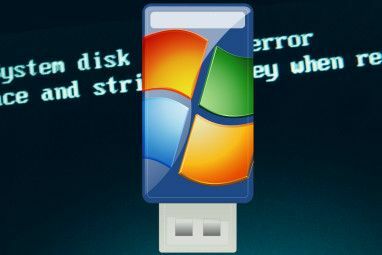 There are howtos for enabling that support (you have to find and copy a specific DLL into the Handbrake install folder), or users can decrypt using an external application or driver. I use AnyDVD HD since I am primarily interested in Blu-Ray ripping, but others might use DVDFab HD Decrpyter or even good old DVD Decrypter. It's less work for someone who only occasionally rips discs to go straight from a DVD/BD, but someone who does lots of them at a time will find that it's easier to copy the disc content to a hard drive prior to encoding. Handbrake is actually a command line application. One of my favorite things about it is the degree to which I have been able to script and automate the conversion process. The Handbrake GUI actually does indicate the full command that it's about to run, so if you use common settings across more than one encode, you can probably find a way to express that as a shell script or batch file. Apple only supports MP4 in its native video applications, something that is a clear failing of iDevices, but there are very good reasons to use MKV as a container format, starting with the fact that MKV supports a much wider array of audio streams and its container can include subtitles without burning them into the video. If you'd prefer to keep the 8 channel DTS-HD track from a Blu Ray in its original, unmolested format, MKV will let you. Android devices generally don't have a problem with native MKV playback, nor do computer-based DLNA or Plex Servers. NAS or consumer electronics-based local video streamers (e.g. Synology devices, WD TV Live hardware) usually want MP4 to minimize the need to transcode. 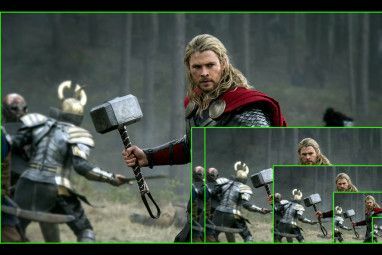 What Is Upscaling? How Does It Work? Is It Worth It?